Maternity session time. Ladies I was totally on the fence about if I should get maternity pictures. Trust me momma you should and will be so happy you did. You might not feel like Heidi Klum at the moment -but it really is a time to try and embrace the bump! We ended up with a slightly gloomy spring day luckily the flowers couldn’t have been more beautiful! 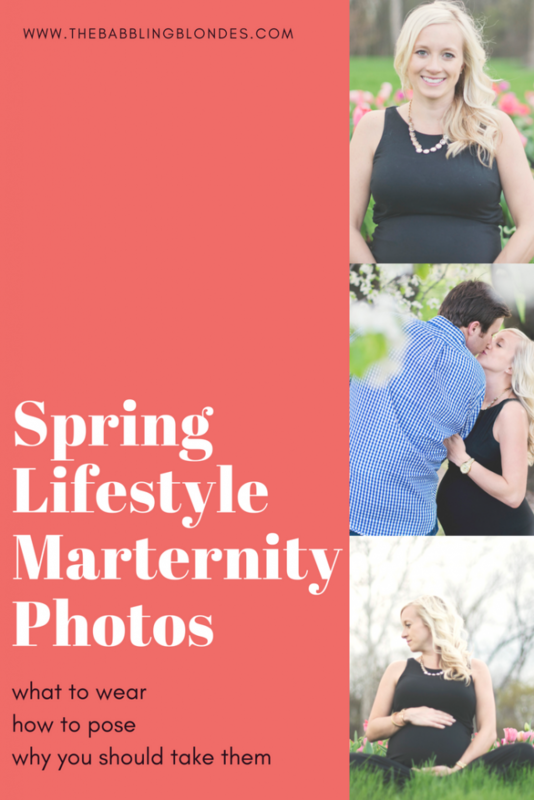 Maternity style for me was a mix between comfortable and black. So I continued with that theme for these pictures – flip flops for my swollen feet and a comfy black maxi- just add a pop of jewels! Easy maternity shopping tip… try to wear non-maternity maxis so that you can wear them after too! 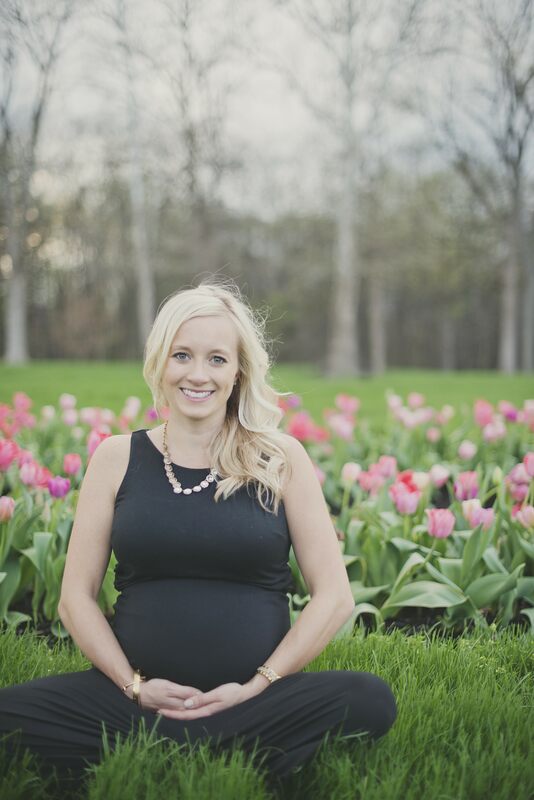 Carley had the cutest outfits in her maternity session too that could easily transition after pregnancy! Looking back on this little moment with my hubs its crazy to think that it was just us then. Now we have two littles running around and we rarely get a moment together and do not have time for solo pics. 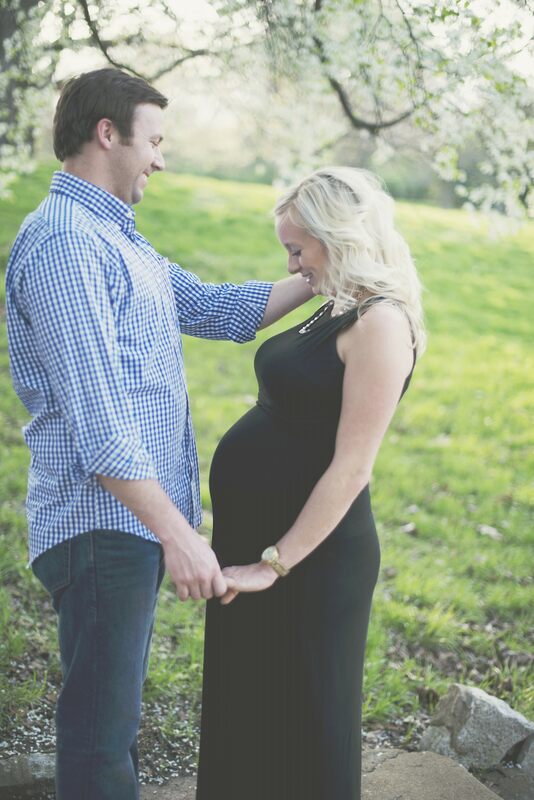 A little tip- if you are wearing a dress always make sure to hug the bump with your hands! 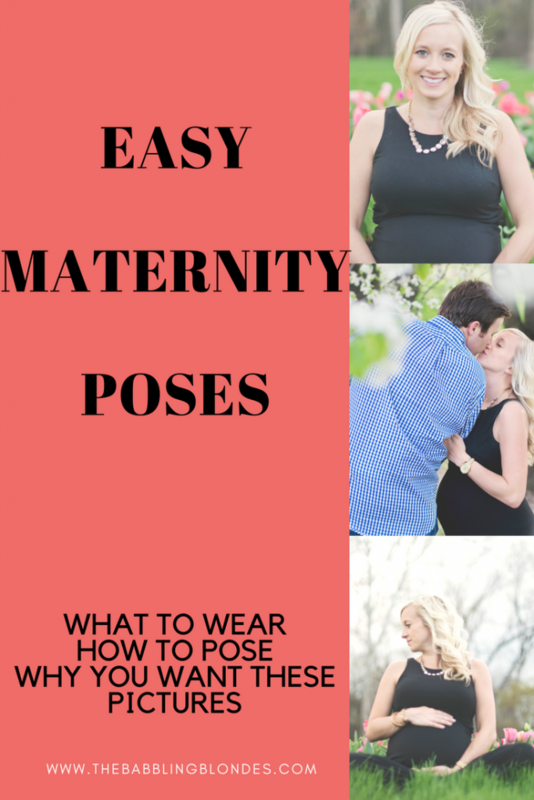 It makes you and your belly look so much better in your pictures! This is probably my favorite picture – who knows what my hubs is saying but I can tell that I am trying not to laugh! Pregnancy is one of those things that in the moment you might be complaining about your wild symptoms that are ever changing, but try to remember that you are also growing a beautiful little baby. That little baby will also give you all the wildest moments too! 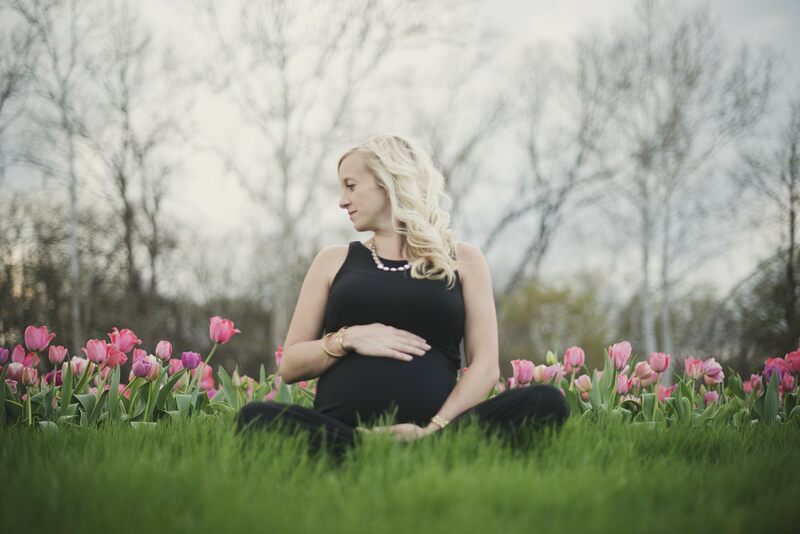 This entire motherhood journey is the best thing that could have happened in my life – me crying in the corner wanting to keep my babies small forever!